Duke is on track to have their 3rd straight #1 recruiting class in the country. Jarrett Culver is expected to be a top-10 pick in the June draft. Brandon Clarke is expected to be a lottery pick. Tyler Herro is a projected first round pick. Zion Williamson has declared for the 2019 NBA Draft. Rui Hachimura is expected to be a mid-first round pick. Ty Jerome is a projected late first round or early second round pick. Madsen has spent the last 6 seasons as an assistant for the Lakers. Duke averaged 2.23 million viewers per telecast on ESPN compared to 1.99 million for the NBA. KZ Okpala is a projected first round pick. 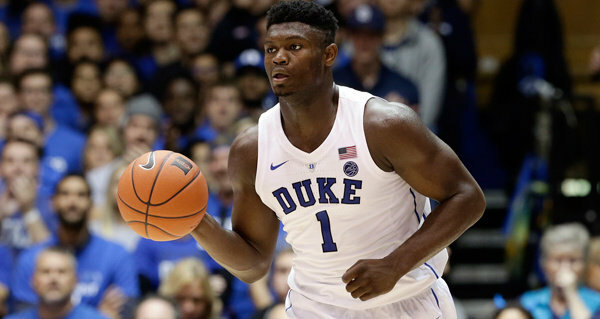 It's tempting to wonder what true freedom would look like for Zion Williamson, what he would do with his talents if he could apply them more freely, but that's a far-off fantasy. Which team will win the 2019 NCAA Championship?